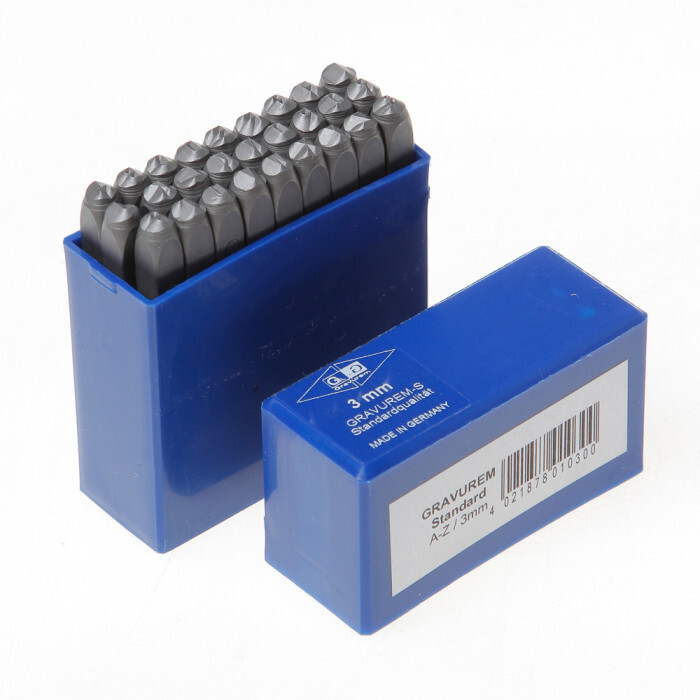 3mm A-Z letter stamp set (upper case). Made from hardened tool steel. German quality (Gravurem).